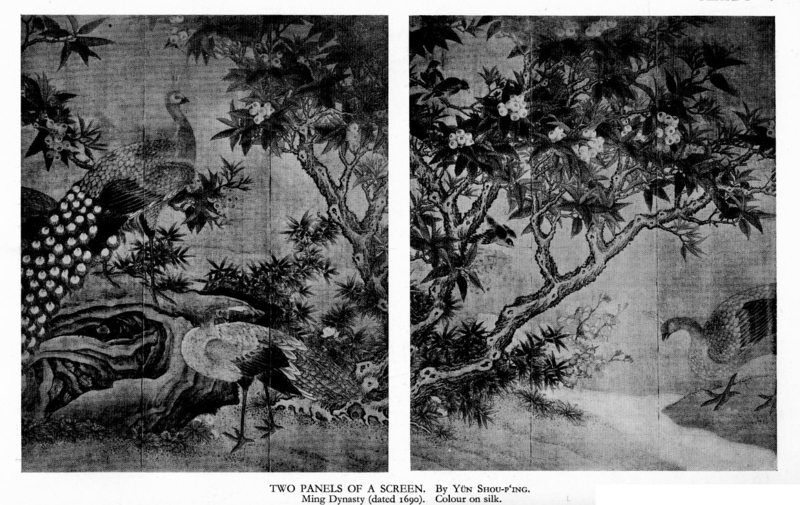 Chinese wallpaper seems to have developed out of the European taste for Chinese pictures, the East India companies shipping goods across the globe and the ability of Chinese workshops to respond to Western demand. A trickle of Chinese pictures and prints accompanied goods from China such as tea and raw silk, with Chinese screens and hangings beginning to appear in European royal residences. 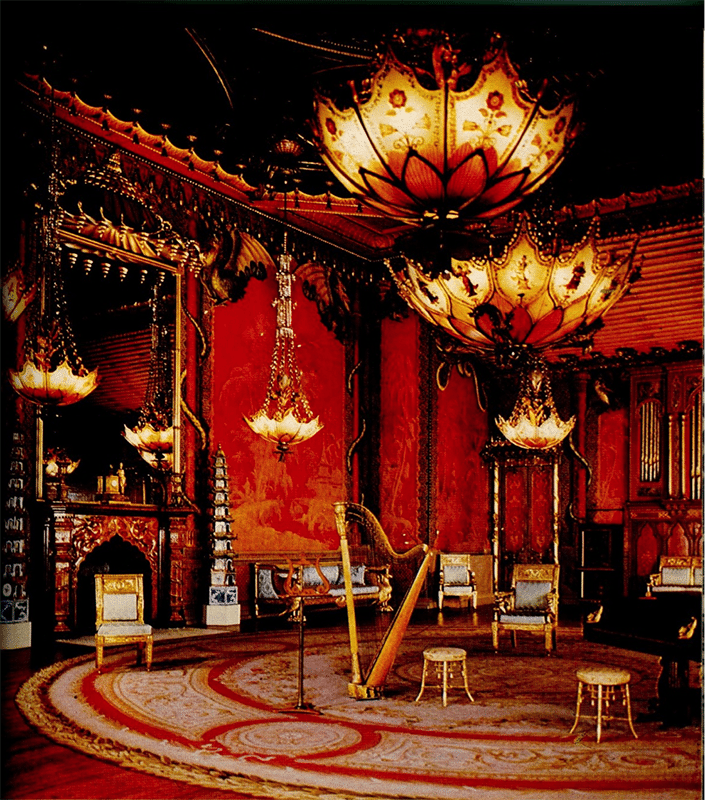 In the late 17th and early 18th centuries, Oriental objects and materials became part of grand European interiors in many stately homes with Chinese pictures hung as framed works of art. 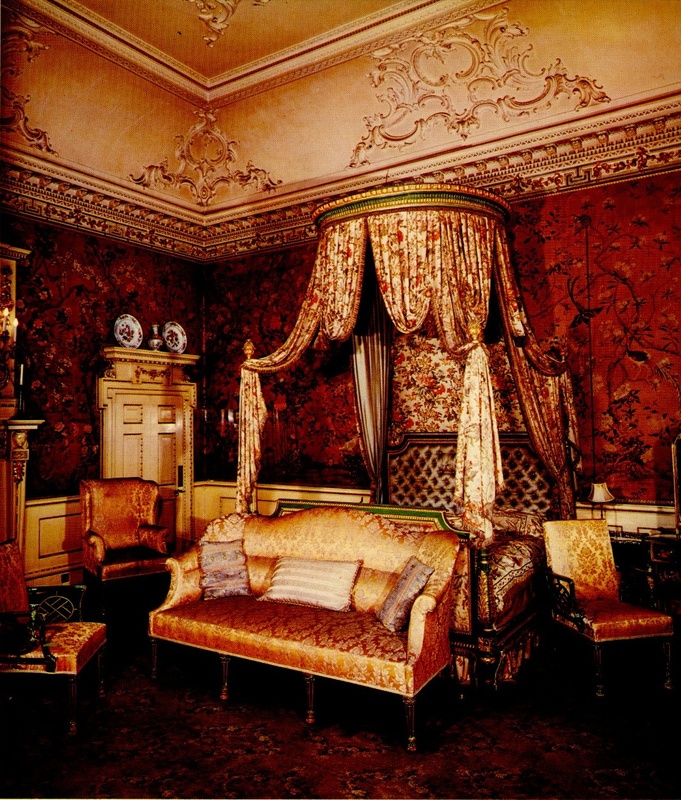 These often appeared in the more feminine areas of a household such as bedrooms, dressing rooms and drawing rooms. The strong demand for sets of pictures to be used as wall decoration eventually ignited the development of Chinese wallpaper with drops specifically made to decorate the entire wall surface of a room. Outlines of the designs were either printed or painted by hand. In contrast to the Chinese porcelain produced for export which was often decorated with western motifs, Chinese wallpaper retained its indigenous Chinese imagery. Many were adorned with flowering trees and plants, birds, insects and rocks, representing idealized evocations of Chinese gardens. This kind of scenery appeared around 1750 and was produced continuously until the second half of the 19th century. A smaller group of Chinese wallpapers were decorated with human figures shown in landscape settings shown in agricultural, manufacturing and other activities. Often celebrating the production of rice, silk and porcelain, these tended to be more expensive as they were more labour-intensive to produce. The popularity of this wallpaper for westerners was its sheer visual beauty and technical finesse, coupled with the high esteem China was held in 18th century Britain as a country that combined ancient virtue with modern commerce. The exotic, foreign scenery depicted in the papers also played a role in their desirability. Chinese wallpaper entered Britain via London, delivered by the East India Company’s ships. The papers were then auctioned at East India House either to private individuals or through shops in London. The popularity of ‘chinoiserie’, as it is now known, continues.